Most internet users will more than likely have encountered a ‘404 Error’ message at some time, even if not, it may help to have some understanding of them for the future. This discussion will look at: What a 404 Error is; What are the causes; Alternative ways to try and circumvent the problem; How to check for 404 Errors. A 404 error occurs when a request has been submitted to view a given website or website page but the system is unable to locate it on, or retrieve from, a host server. Of course, this circumstance may also arise with a blog, which, in reality, are just another form of website. The differences (between a website and a blog) are discussed in more detail in Why Have a Website? Note: Terminology for 404 error messages may vary from site to site. This is because systems either utilise different programming formats or the website programmer has ‘personalised’ the message. Some examples: ‘404 Error’; ‘404 Not Found’; ‘The requested URL was not found.’; ‘404 Page Not Found’; etc. They all mean the same thing. What causes a system to send a 404 error message? Website or web page has been moved or deleted. URL (Uniform Resource Locator) has been incorrectly entered. Server (destination) is not running or the connection is broken. Domain Name (destination) no longer exists. Links that do not work, as explained above, are frequently referred to as being either ‘dead’ or ‘broken’. Note: In 2004 some organisations adopted 404 errors as a means for identifying potentially illegal or ‘forbidden’ content. There are further technical responses and issues but the average user has no need to burden themselves with trying to understand them. Some browsers (the application used to view information (website/blog etc.) on the internet e.g. Crome; Firefox; Safari; Microsoft Edge; etc.) may return more friendly error messages though this relies upon technicalities such as file size. The average user need not concern themselves about the technicalities as the message usually makes clear the cause. Note 1: In theory systems should use different error messages for different situations e.g. Code 301 for when a page has been moved or Code 410 when a page has gone (been deleted). However, these require special configuration and therefore the majority of websites do not utilise them and go for the simpler recognisable standard 404 error message. Note 2: The fact a link has been identified as being ‘dead’ or ‘broken’ does not mean the website or web page will not be displayed by search engines though, if it is a frequent occurrence, they may cease to do so. Reload Page: The error message may have been displayed simply because the page did not load properly. Click ‘Refresh’ or equivalent to reload. Check the URL: Has the URL (Uniform Resource Locator) been entered correctly – by the user or by the person providing the link e.g. are there missing letters/numbers/stops/etc. Directory levels: Pages are sub-directories of the parent website. 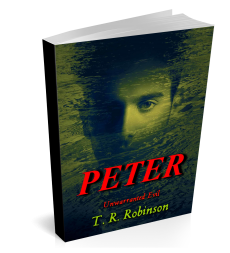 For example: in this website trrobinsonpublications.com/books is a sub-directory of trrobinsonpublications.com. In such an instance, when an error message has been displayed, the user should try entering the next ‘higher’ level directory. In the above example where the ‘/books’ page has resulted in an error they should try the higher level .com address and see whether the page exists (is shown) in the website. Search Engine: Search the website domain name and/or keyword relating to the website/page name and content. Browser cache and cookies: If possible check on another computer or devise. If the error message only occurs on one it may be there is a problem within the browser that was being used. If so, deleting the cache and cookies (browser search history) may sort the matter. Contact Website: If everything else fails use the contact information available in the website to contact the website owner or company. Hopefully this will be identified from what is viewable or may be found by searching the Internet. Naturally, where a website consistently returns an error message, users/visitors will conclude it is of poor quality and not worth their valuable time to pursue. Such occurrences, if frequent, may even result in search engines ceasing to index the site. In other words, the website will not be displayed in search results, even if the content/topic of the site theoretically fits the searched subject. Website owners/managers will consequently, wish to ensure their site is in order. Google Search Console: Requires user to have a Google account and to have registered the website with them. Simply enter the website address and the system will display any 404 errors found. Note: User has to be signed into account before proceeding. Dead Link Checker: Whole websites or individual web pages may be checked. Simply enter the www. URL address (this site does not require the ‘http://’ element to be included) and click ‘check’. User will be required to verify request by entering the code displayed in a pop-up box. Note: This checker may also pick up other, non 404, errors. W3C Link Checker: Complete websites or individual web pages may be checked. System simply requires the full URL address (i.e. includes ‘http://’ element). This is a particularly effective detailed search and consequently takes slightly longer than the others mentioned above. Note: It is possible the result may throw up a suggested error that is not entirely true. For example: A test of this website’s ‘Books’ page suggested the link to the Kobo store for book Negative Beauty is broken. However, when tested from the page itself the link works but is to the ‘gb’ (Great Britain/UK) store rather than the ‘us’ (United States/Canada) store. This is just an example of how detailed this system is in it’s searching. Other link checkers: As stated above, these are just some of the services available, there are others. If anyone has come across one they found particularly helpful, please let readers of this article know by adding details in a comment. Twitter: Apparently some Twitter users will post a tweet when they come across a non-operational website. The #websitedown tag is usually utilised. Not only are 404 (Not Found) messages irritating to users/visitors they are also very bad for the website from which they are generated. They give a bad impression and will more than likely deter people from coming back to the site. Sometimes an error message occurs simply because a site or page has not loaded properly. As all internet users know there are occasions when the internet is either very busy or has a ‘hiccup’. Often simply reloading/refreshing the page will clear the issue. Due to the bad publicity constant error messages result in, website owners/managers should regularly check their websites. For anyone conducting business from a site this is vital. Results from some of the checking services may display additional ‘errors’ that may not initially make sense to anyone without programming knowledge or experience. However, frequently, a closer investigation will make the issue clear. If not, it will probably be best to simply check from within the website and/or by entering the details again (in a separate tab) as if a visitor to the website or page. 404 Error Messages are not the end of the world and may often be dealt with easily. But whatever the circumstance they should be corrected as quickly as possible. I am blown away by all this techie stuff you know. Your blogs are always so helpful. Can you write one soon about messages telling you a website has a virus? I’ve been shortlisted and I can’t even get into the site and when I emailed them about it they suggested I tried another browser, but I’m scared I’ll get a virus. My anti-virus scrams at me! Will have a look into that Lucinda and see what I can come up with.